Known for manufacturing, supplying, exporting and trading a wide range of superior quality Agro Products, Talera Overseas based at Guntur was established in the year, 2011. 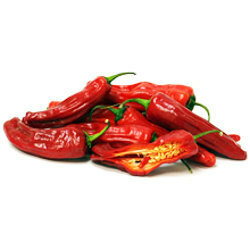 Product range offered by us comprises Red Chilli. Procured from trustworthy and certified resources of the industry, the offered products are widely appreciated among the customers for their rich attributes such as freshness, rich test and longer shelf life. In addition to this, the product array offered by us is known in the market for its purity and optimum quality. These products available with us in standardized packaging that assure the freshness of the offered array for a longer period of time. These products can be availed from us at reasonable prices. We are exporting our products in Malaysia, China, Singapore, East Asia, UAE, Pakistan, Sri Lanka, Turkey, Algeria and Rest of World. We have obtained a distinct position in the market in such short frame of time due to our capability to effectively fulfill the bulk orders and also deliver the products within the promised period of time. It is due to best transportation facility connected with our wide distribution network that we have been able to deliver the offered product range at the customers place timely and safely. We are offering our customers with easy options of payments such as online and cash, keeping in mind their diverse requirements.